Yesterday I made my first beaded chain maille bracelet. It came out just fine and is now for sale in our Etsy store. 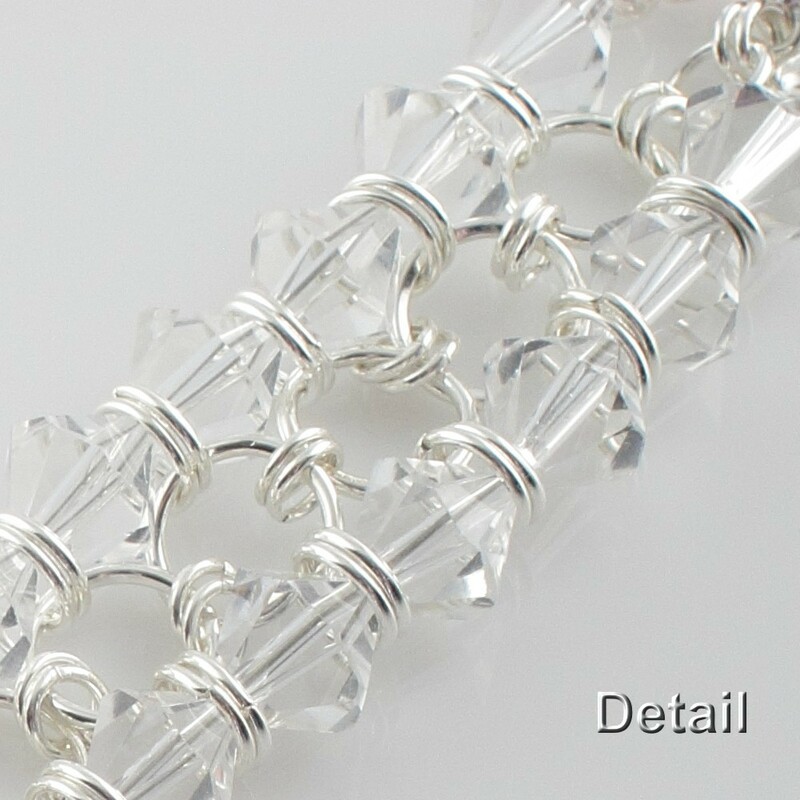 I think beaded chain maille is more fun because it has this extra pizazz, which the beads add to it. The bracelet is called Crystal Ice, and you can see pictures of it throughout this post. 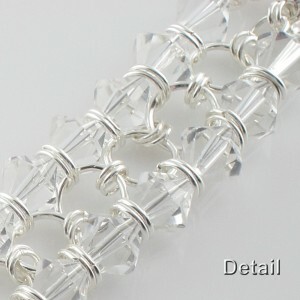 I’ve heard that beaders often get confused when it comes to putting together a beaded chain maille. As to me, I didn’t have this problem because I went the way of the least resistance (as always :)). Which is I assembled the individual elements first, then strung them with crystals, and then used smaller jumprings to connect everything together. 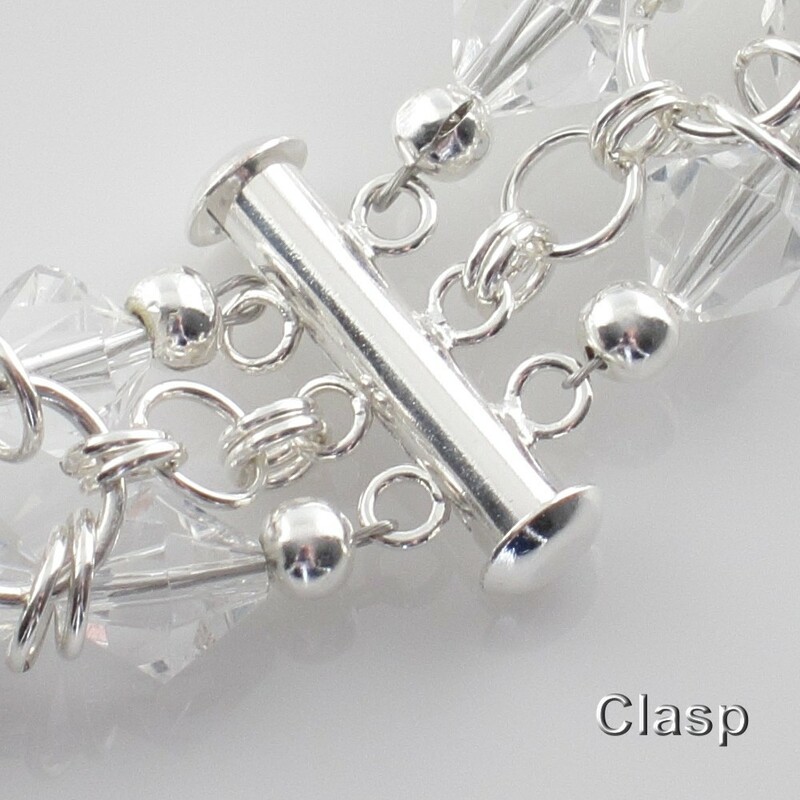 There are 141 jumprings in the bracelet. 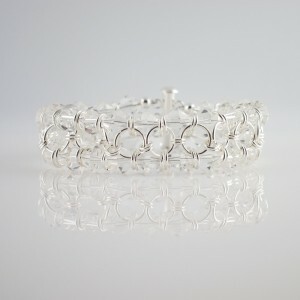 I don’t consider myself to be chain maille expert, although I did make other pieces of this style before. However, in my mind I called them “link jewelry” :). Because they were jumprings connecting other elements, like links. You can see one of them below. 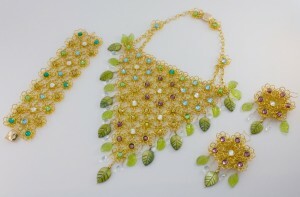 It is Bunch of Flowers jewelry set. When I was a teenager, I used to make actual war mails, as a part of my participation in the role-playing games. You know, Elves vs Goblins type of thing. War mails were rather simple, and I made them out of big brass rings which people in Russia used to hang their carpets on the wall. These were about the only jumprings you could get in Russia at the time :). It is still a good Russian tradition to hang carpets on the wall. Especially ones with the deer scene or lions by the lake. Whenever you walk into somebody’s home, you are sure to find deers or lions, or at least a Persian motif :). I guess it goes from walls being very cold and carpets serving as a warmth insulation, as well as sign of richness and prestige, as good carpets during Soviet Union times were hard to obtain and cost a lot. For example, a pure wool wall-size carpet my family had cost us 1,000 rubles. To give you an idea how much that was, an average monthly salary for a specialist was 120 rubles, and an average car cost 2,000 rubles. 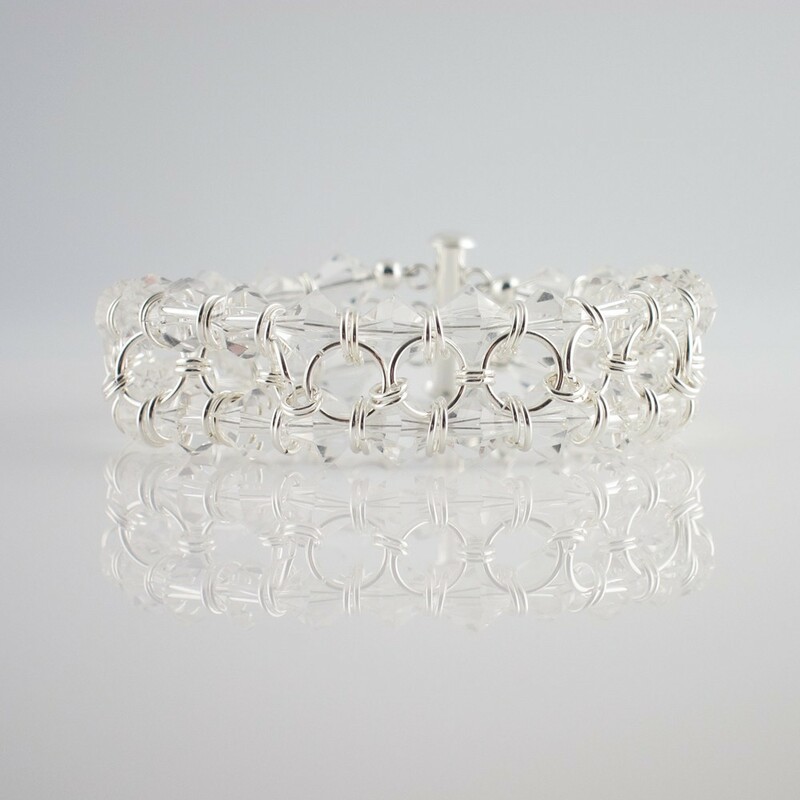 Coming back to the chain maille 🙂 – the whole experience has been very gratifying. In the beginning, the pattern looked rather pathetic 🙂 and I was thinking “Yikes! 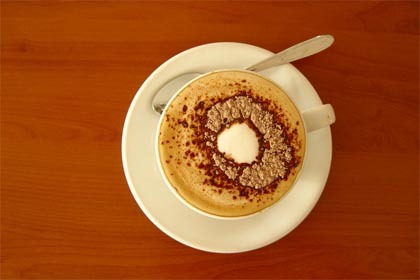 I should drop it all together!” But then the miracle happened, and the small parts formed a big whole. It was truly a wonder to watch the thing grow right in your hands, and I’ve enjoyed it immensely!